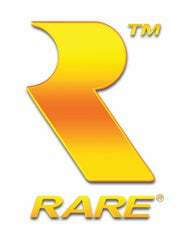 Peter Moore On Rare: "Skills Not Applicable Today"
I thought ultimately it would be very successful — and you know, Microsoft, we'd had a tough time getting Rare back — Perfect Dark Zero was a launch title and didn't do as well as Perfect Dark...but we were trying all kinds of classic Rare stuff and unfortunately I think the industry had past Rare by — it's a strong statement but what they were good at, new consumers didn't care about anymore, and it was tough because they were trying very hard — Chris and Tim Stamper were still there — to try and recreate the glory years of Rare, which is the reason Microsoft paid a lot of money for them and I spent a lot of time getting on a train to Twycross to meet them. Great people. But their skillsets were from a different time and a different place and were not applicable in today's market.